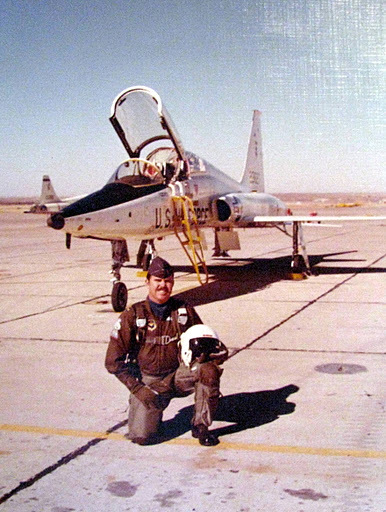 Sam Harris of Punta Gorda Isles, Fla. began his military career as a cable-splicer in the Army National Guard in 1970 and ended up in 1979 as a captain in the Air Force. 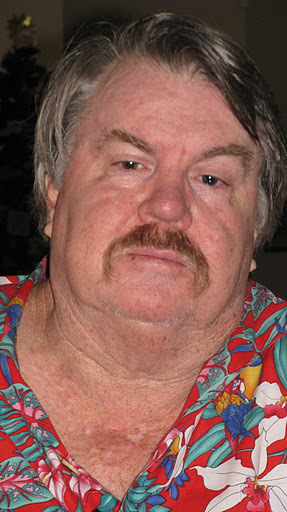 He flew giant C-141 “Starlifter,” four-engine, jet transport planes around the world. In between he has lived a life filled with exciting incidents that propelled him into an airlines career in which he’s flow the globe these last four decades. It began when he failed to get into medical school at the University of Georgia and his draft number came up. He joined the National Guard and a year later he got into Air Force ROTC and became a multi-engine pilot. “I flew out of McCord Air Force Base in Tacoma, Wash. as a member of the 4th Military Airlift Squadron part of the 62nd Airlift Wing,” the 63-year-old career pilot explained. “I’ve hauled everything from fish to caribou to pot bellied pigs to the president’s limo to personnel for Bob Hope. “When we got on the ground our passenger would off load. Then we’d fly back to the Philippines or wherever. A couple of days later we’d pick up the same passenger and fly him to Anchorage, Alaska or Andrews Air Force Base outside Washington, D.C. and drop him off,” Harris explained. “After a while I realized every time we made one of these one-man flights some Vietnamese general or politician would commit suicide. “One time on one of these flights the guy started talking to me. He told me this was his last trip. He was hanging it up after this one. “During the Yom Kippur War in 1973 between the Egyptians and the Israelis we were flying stuff into Tel Aviv. It wasn’t an official campaign. It was all very secret. We got no combat pay or ribbons for these trips. We couldn’t even tell our families,” Harris said. “We’d been caught by a TV cameraman walking across the tarmac at Tel Aviv Airport. He has his arm around a flight attendant for El Al Airlines. This was a big secret operation nobody was suppose to know about,” Harris laughed. He flew lot of clandestine missions around the world. He’d fly into places that didn’t exist. “The Seabees would go into a jungle area and clear it out. In 24 hours they’d lay down 6,000 to 8,000 feet of interlocking aluminum panels for runway. We’d land and drop off whatever and fly out. The Seabees would come back in, take out the aluminum runway and 24 hours later you couldn’t find the spot because the jungle would take it back,” he said. 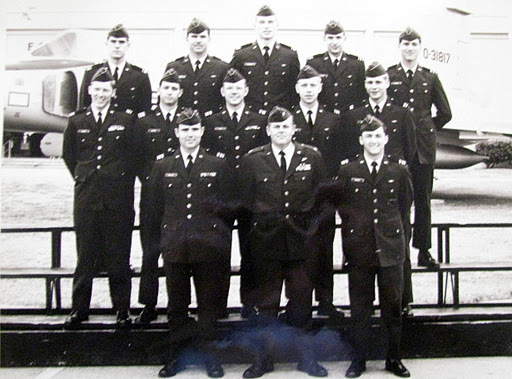 “One of my first flights in 1973 was the best thing I did during my time in the Air Force. I was a green copilot who got picked to fly some of our POWs out of the “Hanoi Hilton,” the infamous prison in North Vietnam, back home to the United States. “We flew them on the last leg of their flight from Hickam Field in Honolulu to Travis Air Force Base near Sacramento, Calif. We had nine POWs and 18 Marine guards armed to the teeth because we weren’t sure what they were gonna do. We also had eight or nine doctors, 20 nurses and a lot of press people on board,” he said. “All of the POWs looked like walking skeletons. They sat in the back of the plane and looked straight ahead. None of them said a word or moved during their whole trip with us back home,” Harris recalled. “As we we were making our approach to San Francisco over the Golden Gate Bridge my aircraft commander told me to get San Francisco and ask them if we could swing around the bridge a couple of times. Our controller got back with us and said, ‘Freedom-5,’ that was our control sign, ‘You can make as many turns around the bridge as you want,’ ” he said 35 years later in a choked up voice. This allowed the POWs to take a look at the bridge as they flew over. “Six months later one of the POWs came back to our squadron. I didn’t recognize him because he had put on 50 pounds,” Harris said. He told us, ‘You know we sat there all that time because we weren’t sure the flight was for real. “”That’s why we sat there without saying a word all the way back home. We didn’t want to take the chance this was another one of those phony flights to freedom’ the former POW told us after it was all over,” Harris said. “The bad thing about our job was we were hauling young G.I.s over to Vietnam some of who were probably no more than 16 or 17-years old. They’d say to me, ‘Lieutenant, how fast does this airplane go? Can you speed it up because I want to get over to Vietnam and kill me some gooks before the war is over. “Six months later we’d bring ’em back missing an arm, leg, in a stretcher or in the back of the airplane in a body bag. “That’s as sad as our job got. It wasn’t good,” Harris observed looking down at his shoes and shaking his head. “In 1975 I was flying out of the Philippines and they told us we were going to fly into Tan Son Nhat Airport in Saigon. We knew the enemy had hand held ground to air missiles with a range of 16,000 feet,” Harris said. “We were told you’re gonna have to fly over the field spiral down and land. “It was during the evacuation of Saigon. The enemy put the word out the Americans were evacuating the embassy in Saigon by helicopter, but it said nothing about what we were doing at Ton Son Nhat,” he said. “We flew in and taxied to the end of the runway, push the supplies out on pallets and took as many Vietnamese civilians into the plane as we could. Two big load masters stood in the doorways and snatched as many civilians who had worked for the Americans as they could. “By the time they reached the end of the runway they had 300 to 500 civilians aboard. The load masters would wave off the last people, pull up the ramp, close the back doors and we’d give the plane maximum takeoff thrust and maximum speed and head for the Philippines,” Harris said. “Two years ago I was helping a friend who works for the Drug Enforcement Administration talk to DEA people about flying armed men around the country. During a break in my talk this gentleman came up to me and said, “I want to thank you for my ride. In 1975 I was four years old and my mother put me, my brother and two sisters on one of your airplanes flying out of Saigon. We ended up in Montana, but my mother didn’t get out for 10 years. “‘I’m Eurasian and come to find out the Vietcong executed all Eurasian kids after they took over Saigon. But I made it out thanks to you,’ he told me. “I was very lucky because I was in the right place at the right time. I got to meet a lot of interesting people,” Harris said looking back on his military flying career. He went to work for National Airlines when he got out of the Air Force. A short while later they were bought out by Pan Am. Then Pan Am was purchased by Delta. He’s been flying for them for more than 40 years. He and his wife, Judi, moved to Punta Gorda in 1996 He has a son, Robert, who lives in Denver, Colo., and a daughter, Heather, in Milton, Ga. This story was first published in the Charlotte Sun newspaper, Port Charlotte, Florida on Monday, Dec. 19, 2011 and is republished with permission.